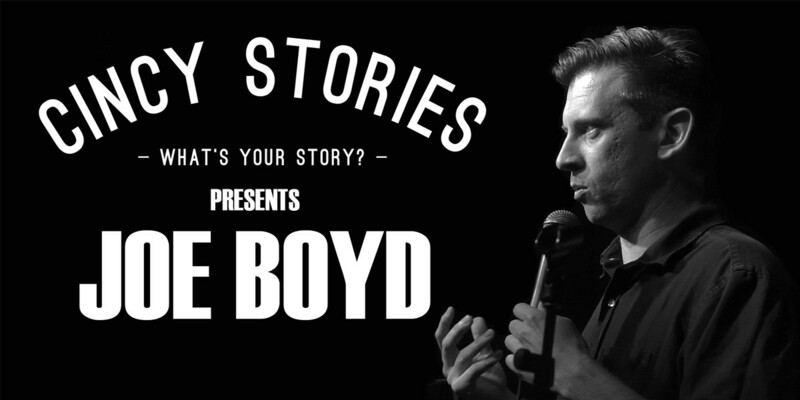 Here’s Joe telling a story at our May 5th Cincy Stories event. To hear more stories like Joe’s, come out to our next Cincy Stories (which is totally free, by the way) on July 7th at 7PM at MOTR Pub. You’ll be able to hear stories from Maryanne Zeleznik (of WVXU, Cincinnati’s local NPR affiliate), Penny Tration (of Below Zero Lounge’s The Cabaret), Ms. Ebony J (from 101.1 The Wiz), Mike Moroski (Community activist from Faces without Places), Alex Stone (local stand up comedian) and Jess Lamb (local musician and former American Idol contestant).